We seek to translate inferences from evolutionary biology to improve human health and empower K-12 education. Click here to learn more about our research. 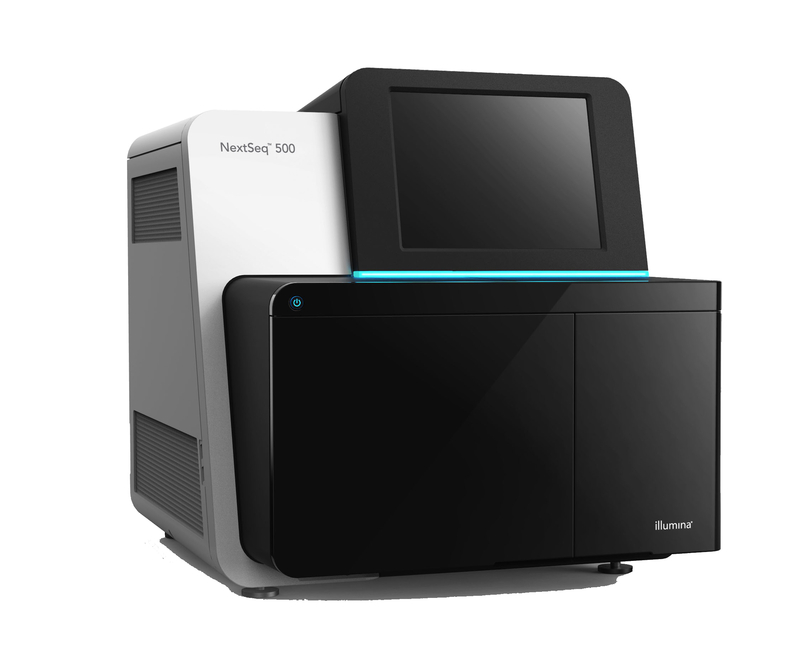 We offer high-throughput sequencing services on Illumina's NextSeq 500 platform. In addition to this, we offer custom bioinformatic services to suit any of your microbial genetics needs. Click here to learn more about the services we offer. The best way to learn and encourage excitement in young people about science is through a hands-on approach. 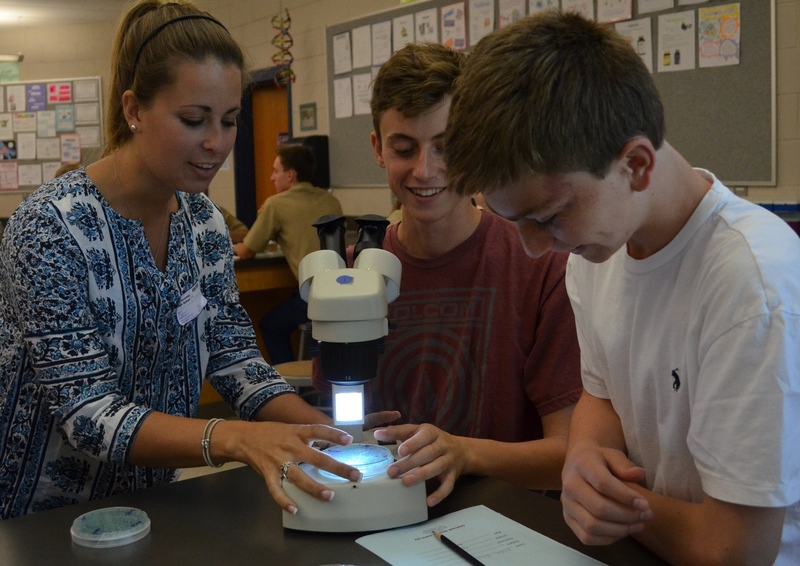 The EvolvingSTEM program provides a ready-to-implement hands-on curriculum for high schoolers to learn evolution, microbiology, basic biotechnology, and get excited about STEM research careers. A local news outlet wrote a story on the benefits the EvolvingSTEM program grants to students who take the course. The EvolvingSTEM program has spread to multiple school districts which have found that the hand-on experience provided by EvolvingSTEM has been more engaging and memorable to students than a simple course. The Cooperlab is an integral part of the program, and has made great strides towards making EvolvingSTEM more accessible to any school district willing to host EvolvingSTEM. “[Vaughn’s] goal in my opinion, is he wants to teach the next generation about evolution in an inquiry-based, hands-on way. To help students understand what evolution is whether it’s to get a few more points on the Keystone [standardized exam], or you know just to have the concepts correctly integrated,” Kinchington said. EvolvingSTEM was featured yesterday on the third segment of the The Confluence, a daily news show in the Pittsburgh area. 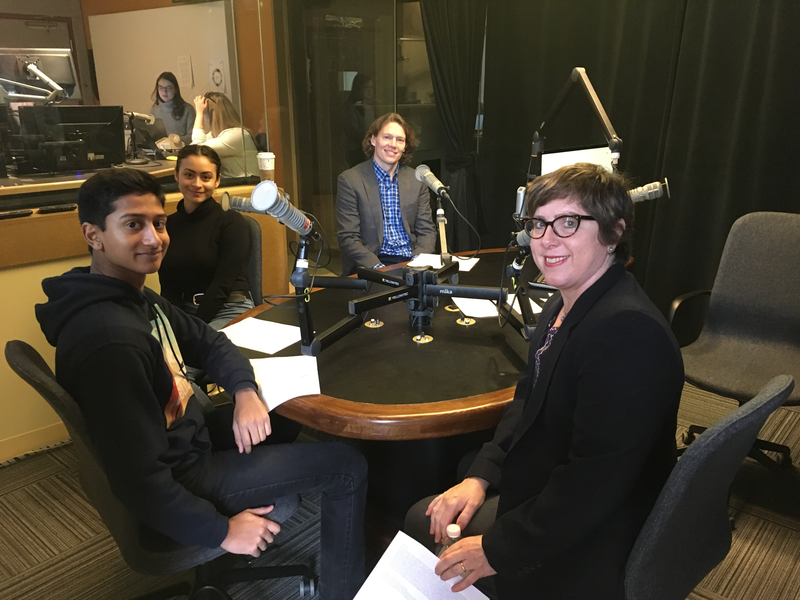 Vaughn Cooper, evolutionary biologist and director of the University of Pittsburgh’s Center for Evolutionary Biology and Medicine, and founder of the EvolvingSTEM Program; Edwina Kinchington, teacher at Pittsburgh Science and Technology Academy; Mia Perez, junior at Pittsburgh Sci-Tech; and Sachin Thiagarajan, junior at Pittsburgh Sci-Tech. I’m honored to have been elected Chair of the Council of Microbial Sciences (COMS) of the American Society of Microbiology, which includes the representatives of all scientific Divisions and local Branches. Our mission is to “support the work of ASM by prioritizing the scientific focus of the Society and identifying upcoming opportunities in microbial sciences and scientific trends to ensure effective programs and scientific activities that benefit the members and the scientific community at large.” My goals are to increase transparency, broaden engagement and support community-building in our focus areas. I am thrilled to be a “brand ambassador” for ASM and look forward to serving the field of microbiology with a focus on education and outreach. In the interest of transparency, I’ve posted my original statement of candidacy here as well as my remarks at the COMS meeting during ASM Microbe 2018 in Atlanta. Comments are encouraged. 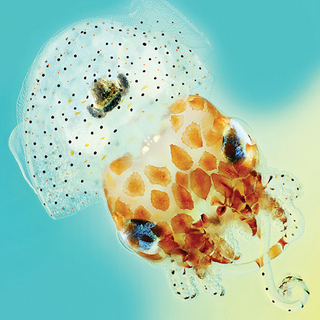 It is an amazing time to be an evolutionary biologist and microbiologist. I’m an evangelist for the study of microbial evolution-in-action. I love sharing how powerful experimental evolution can be for understanding how microbes work, particularly when combined with contemporary genomics and bioinformatics. This approach is broadly relevant to all of the disciplines represented by the ASM, from host-microbe interactions, to applied microbiology, to education. At the same time, technology is enabling us, for the first time, to study microbes as individuals as well as members of populations, and identify major transitions in phenotypes as we scale from cell to population to mixed communities. My laboratory focuses on pathogen evolution that occurs during acute and chronic infections, eco-evolutionary dynamics in biofilms, why genome regions mutate/evolve at different rates, and molecular-genetic mechanisms of bacterial adaptation. Perhaps our most important work has been enabling students to learn evolution and heredity by hands-on experiments with microbes. We are working to distribute this curriculum broadly to high schools around the country. I was glad to serve on the organizing committee for the ASM Meetings on Experimental Microbial Evolution in 2014 and 2016, and with the end of these meetings want to carry the tremendous enthusiasm from this community forward within the ASM. I’ve been an ASM member since 2000, following Vic DiRita’s advice that it would be the most valuable professional organization I could join. Previously at the University of New Hampshire I was the Chair for the Undergraduate Research Conference, one of the nation’s largest such events. I also supported the local student ASM chapter. Now at the University Pittsburgh School of Medicine, I am Director and co-founder of the Center for Evolutionary Biology and Medicine. I am also Associate Director of the Centers for Medicine and the Microbiome and Innovative Antimicrobial Therapy at the University of Pittsburgh Medical Center. My vision is to encourage and support education, research, outreach, and scientific-communication activities that allow ASM members to realize the “systems-level” perspectives embodied by the “m-Journals” and apply them to any level of inquiry. We are more than ever in a position to continually ask “why” questions that broaden the relevance of our fields for society as whole, and help us solve some of society’s most pressing challenges. I’m honored by the nomination, thank you. This is only my second formal experience w / ASM leadership, my first being the Microbial Evolution and Ecology focus group held in Dec 2017. These EEB successes provide a template for community building here. I think these focus group meetings- both at ASM HQ and in other venues - are a great way forward. I would want to attend more of these meetings to learn about the best of what we can anticipate from each community, and what opportunities we can’t miss. I will commit to serve as a listener and brand ambassador for ASM at other meetings to solicit input from groups whose research interests are allied with ours. Above all, by listening and asking questions we will discover new high energy partners who can help us promote our best research, education, and outreach. The motivation: to broaden our community. Many hands make light work! I believe that no other life-science field has greater promise for hands-on learning and inquiry in primary and secondary education. I know that it’s the best-ever time to be an evolutionary microbiologist. We can watch the process of evolution unfold in real-time and then decode and assemble this process into a narrative facilitated by the deep knowledge that microbial geneticists, physiologists, host-microbe interaction researchers, and others have shared. Every evolution experiment reminds me that I stand on many shoulders — most from ASM - and I am so grateful. Thank you for your attention and for sharing this opportunity with me. We are thrilled by a new NSF award “Role of tRNA base modifications in genetic code accuracy and cellular fitness”, in collaboration with Rebecca Alexander of Wake Forest University and Jonathan Minden of Carnegie Mellon University. This project has been a longtime labor of love focused on a peculiar set of mutations that evolved in a screen for beneficial mutations. Remarkably, these mutations point to adaptations leading to mistranslation, and together we will understand how and why. Each lab is seeking a Ph.D student or technician who is interested in learning how natural selection shapes the fidelity of translation, and how cells might monitor homeostasis via tRNAs. There’s been a fair bit of recent discussion about why most biologists are (uncritically) adaptationists. I don’t dispute this but think it’s worth reconsidering why. Some have argued that this is because of intuition (adaptation just makes sense). However I think a better explanation lies in how we teach - or fail to teach - evolution and acknowledge that teaching non-adaptive evolutionary processes is difficult. Most biologists haven’t had a full course in evolution. Instead, most have had a week or two in their college introductory biology class and if lucky, one week in their high school biology class. If they went to graduate school, they likely had no coursework that explicitly considers evolutionary biology. This is also true for most teachers, so most do not understand evolutionary biology with enough comfort to go beyond well-trodden examples of adaptations to explore with students how and why evolution may not be adaptive. We also must recognize that understanding sources and effects of non-adaptive variation is difficult. It takes a certain depth of education in evolutionary biology to be able to teach non-adaptive processes well. Understanding drift, mutation, and recombination depends more heavily on understanding of statistics and probability, topics that are also generally lacking for most scientists and educators.Another problem is more philosophical, but I think equally important. I wrote the following in my Teaching Statement for my tenure packet several years ago. Here, the relevant point is that if most students believe in an idealized wild-type, then diversity is underestimated and under- appreciated. Appreciating genetic drift is therefore even more remote. If we wish to tackle these problems with biology education, one solution might include developing examples that includes both adaptive and non-adaptive processes. Building in concepts of probability and effects of population size (think conservation genetics) would also be very helpful. Above all, getting teachers to invest more than the standard “one week at the end of the semester” to teach evolution would be a huge victory, one that would benefit all of our education in biology. The Cooper Lab would like to extend a thank you to Elaine Vitone who wrote a feature, Untangling Darwin, focused on the lab’s research in the University of Pittsburgh’s PITTMED magazine. Vitone’s feature can be accessed on PITTMED’s webpage or as a PDF. 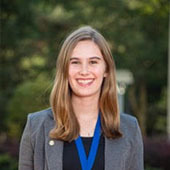 Michelle was recently awarded a Prestigious trainee position on the Molecular Microbial Persistence and Pathogenesis National Institute of Health T32 Institutional Training Grant. 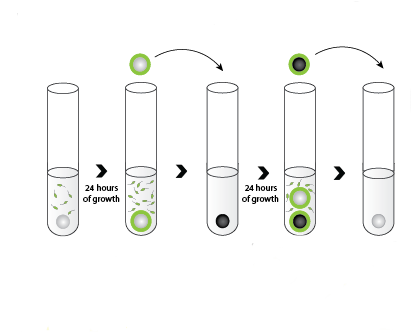 This training program provides interdisciplinary instruction in microbial persistence and pathogenesis. The training grant brings together researchers studying a diverse set of both viral and bacterial pathogens to promote an appreciation for both the diversity and common themes of microbial persistence. You can learn more about her award here.